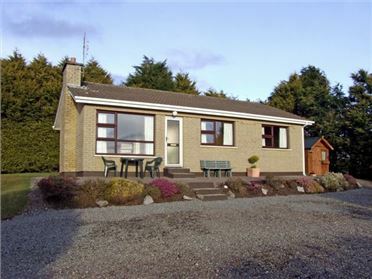 Reeks Cottage is a charming detached cottage set in its own private grounds next door to the ownerÃ¢€â„¢s property and close to Killorglin, gateway to the Ring of Kerry, and can sleep nine people in two ground floor double bedrooms with en-suites, a twin room and a family room. There is a family bathroom. 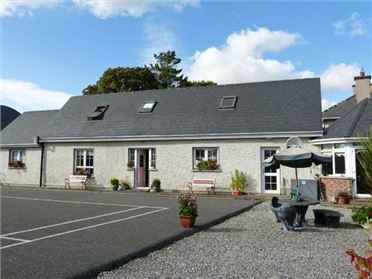 The rest of the property contains a kitchen, dining room (seats 8) and sitting room (seats 7) with open fire. To the outside of the property there is a front gravelled garden and a rear and side lawned garden with patio and furniture. 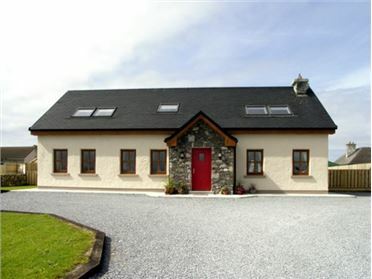 Reeks Cottage is an ideal base for friends and families looking to explore the spectacular Ring of Kerry. 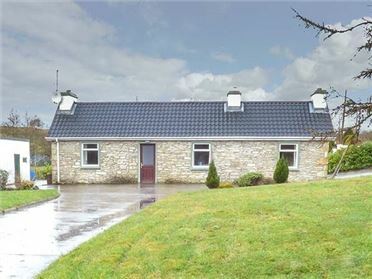 Four bedrooms: 2 x ground floor double with en-suite shower, basin and WC, 1 x twin, 1 x family room with 1 double and 1 single. Bathroom with bath, shower over, basin and WC. Ground floor basin and WC. Kitchen. Dining room (seats 8). Sitting room (seats 7) with open fire. Oil central heating with open fire. Electric oven and hob, microwave, fridge/freezer, washing machine, dishwasher, TV with Freeview. Fuel and power charged via meter reading, first Ã¢â€šÂ¬10 inc. in rent. Starter pack for open fire inc. in rent. Bed linen and towels inc. in rent. Travel cot and highchair. Ample off road parking. Front gravelled garden and rear and side lawned garden with patio and furniture. Sorry, no pets and no smoking. Shop 1 mile, pub 2 miles. Note: Check-in time 4pm.